Hello, my LPS (frogspawn and Hammer coral) has been slowly dieing for the last 5 months. The first few months the corals weren’t opening up fully and then the 3rd month it lost one head and now it’s lost 3 heads. I’m not sure what’s happening because my SPS corals are doing really well. I thought it was Brown Jelly Disease, but from what I’ve read BJD kills within hours or days. This is my Coral now. 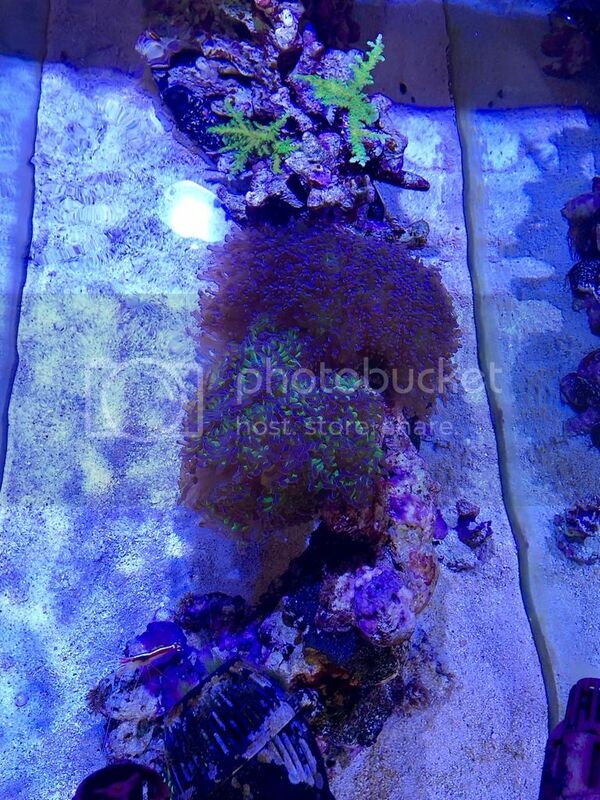 Here’s my coral 6 or so months ago. My guess is you have stripped the water of everything. Start feeding more and see what happens. Agree, feed more to increase some NO3 and PO4. OK, I'll start feeding every day now. Yup, your water is too clean. I had this happen to me in the past. I killed off a 50+ head frogspawn I still cry about to this day lol. I am just now realizing that LPS in general do not thrive very long without feedings. Agreed. Nitrate should be 2-5ppm and you don't mention phosphate, but should be .02 - .05 max. Please ensure Alk remains 8.6 if that's what you run, at ALL times. 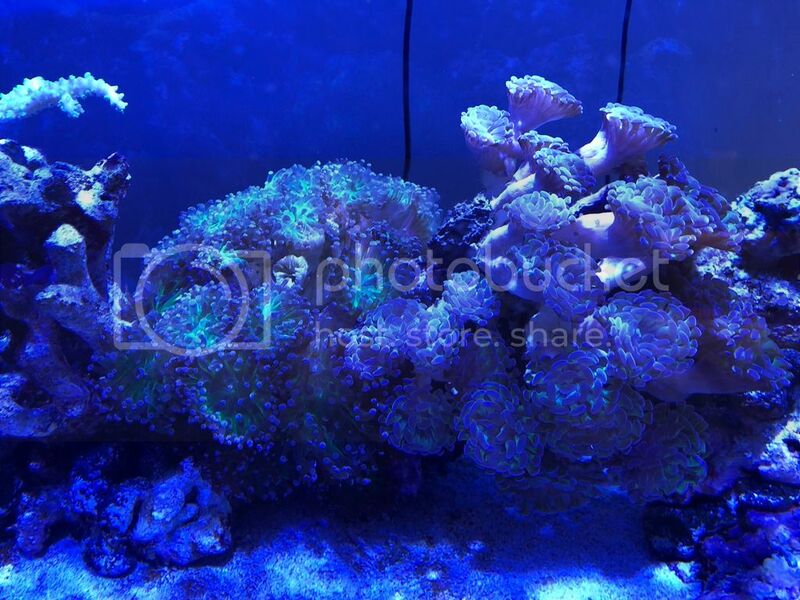 A change in Alk more than .5 will make corals very unhappy. I wonder if lights too bright for frogspawn and hammers. Hammers will take s little more light, but frogspawn are a lower light LPS I have read. I have a 90 gallon cube mixed. I keep sps directly under lights and LPS on bottom and back of tank.